A former Ustwo free-time project aims to be a worldwide standard. Wayfindr, the vision-impaired navigation solution originally conceived by multidisciplinary design studio Ustwo, is a step closer to becoming reality. After a pair of small-scale trials, the audio-based system is headed to London's busy Euston station, which averages around 3.4 million visits per month. 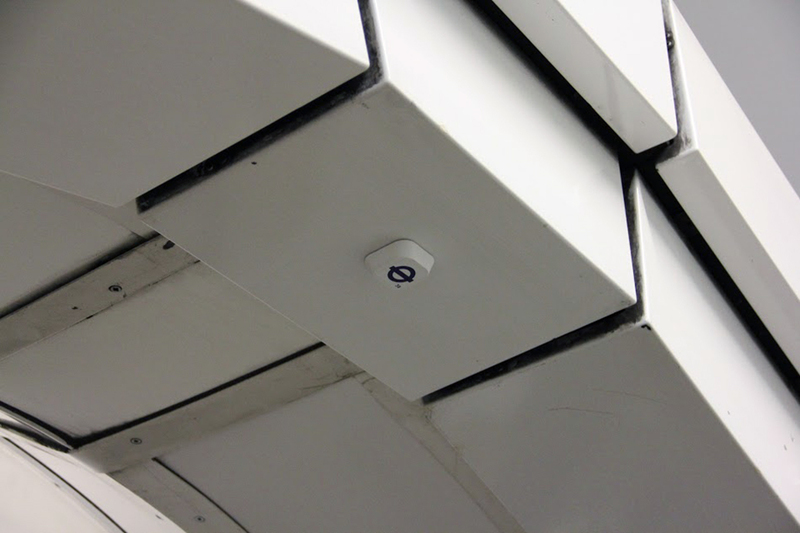 The pilot scheme uses Bluetooth beacons paired with regular smartphones to guide visually-impaired travellers around Euston's complex web of interconnecting tunnels. But as exciting as the trial is for those involved, it's a tiny fraction of what Wayfindr wants to achieve. Although it was born from the company's "invent time" program, Wayfindr hasn't been part of Ustwo for some time. It's a separate non-profit company now, and one that's tasked with releasing and updating an open standard that it hopes will be implemented around the world. 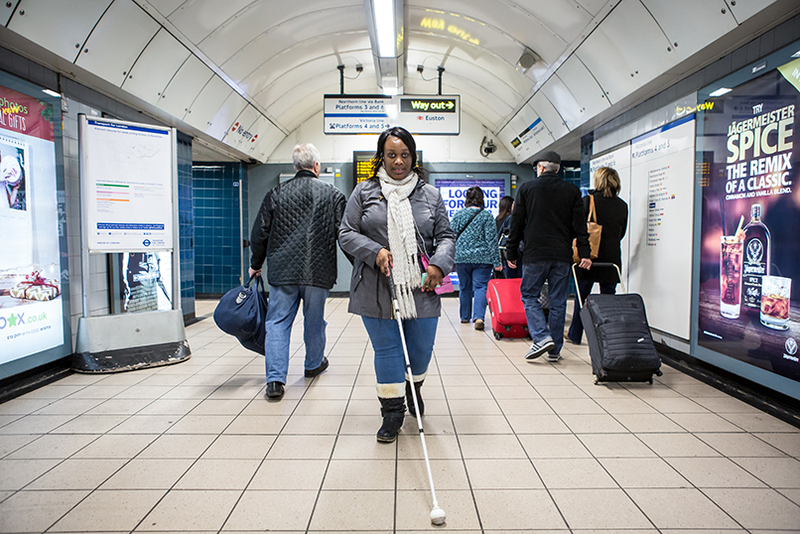 Knowing it can't do this alone, Wayfindr has been working with London-based vision-impaired charity RLSB from day one for feedback and advice on implementation. Since then, it's pulled in new partners including Transport for London, Blindsquare (a Foursquare alternative for people with impaired vision), Bluetooth beacon makers Kontact.io, and others. Most recently, it's caught the attention of Google's philanthropic arm, Google.org, which awarded Wayfindr a $1 million grant as part of its "Impact Challenge" to solve problems for people living with disabilities. In Wayfindr's Bluetooth trial, users tell an application where they want to go, and it'll keep an eye out for beacons. The first will be sensed on entering the station, which kicks off the navigation process. By creating waypoints for each beacon detected, it's able to guide users through clear audio directions without any cellular or WiFi signal. But Bluetooth beacons will only be one element of the standard. The company doesn't build hardware, and it's not building software. It's just helping those that do to work together. To that end, it's enlisted experts from different sectors for guidance, and is openly inviting anyone interested in the field to contribute to and peer review its work. And to be clear, although the trials are focused on those that need it most, Wayfindr wants to be an indoor mapping solution for everyone. "Mapping indoor spaces needs to be consistent," Wayfindr CEO Umesh Pandya tells Engadget. He sees the company's job as helping "the physical and digital to talk," ensuring that no matter what technology comes along, it's able to integrate into the standard. People relying on Wayfindr to get around shouldn't be negatively affected by technological advances. Pandya was a user experience director at Ustwo before the Wayfindr spinoff. "I know the importance [of UX] ... the user needs to experience the same whether it's in a station, a shopping centre, or an airport." WiFi mapping is still in its infancy, but it's already being worked into the standard, which will be published early next year. So if Wayfindr isn't building the apps, who is? Pandya envisions a world in which popular navigation apps like Citymapper will have Wayfindr compatibility built in. Although primarily focused on helping vision-impaired people to "change the perception of their own abilities," Pandya also sees value in Wayfindr as a tool to solve language barriers. If all of the public spaces and transport systems in a large city like London were Wayfindr compatible, a visitor with poor English could be guided in their own language around the city. It's a nice idea, for sure, but in the present, there's a very real issue: vision-impaired people have trouble navigating in their cities, not some distant foreign land. Wayfindr's going to need a lot more time, and a lot more collaboration with the tech and transport industries, to get its idea off the ground. But it's a truly compelling vision for the future.